Seriously though you do need to preserve your hearing. For quite a few years I’ve suffered from tinnitus (ringing in the ears). It started out as something I’d occasionally hear. But during the past couple of years it has gotten increasingly worse; even to the point that I wouldn’t hear things at time. That, coupled with a hearing loss made for some very frustrating times. In some restaurants, I couldn’t follow or even hear conversations. So what caused my tinnitus and hearing loss? Well you really can’t put a finger on it. It could’ve been an injury, disease or illness or prolonged exposure to loud noises. Could it have been working on and around steam engines, yes real steam engines when I was young? Probably. Concerts? Sure. Working in a mechanic’s machine shop when I was young? Sure. Riding a motorcycle even with a full face or open face helmet? Sure. Working as a police officer riding a motorcycle with one of those “half or shorty” helmets (most of it on a Harley Davidson that the muffler baffles somehow got punched through)? Probably. Riding my own motorcycle with a half helmet? Probably. Fast forward to this summer when my primary care doctor referred me for a hearing test. They told me that they might be able to help with my tinnitus through something called Tinnitus Retraining Therapy or TRT. Here’s the simple explanation: you don’t hear the hum of the refrigerator because it’s benign and you’re used to it. But you hear it now because I mentioned it. TRT tries to get your brain to ignore the tinnitus by using other sounds, usually “white noise” of some type. Silence is your enemy with tinnitus too. TRT wants some sort of low sound to used all the time (tv, music, etc). There’s sound apps for smart phones and tablets you can use too along with headphones or ear buds. I found that even listening to a low white noise with ear buds, I could hear more conversation. But you can’t always do that. I even used an inexpensive sound machine at night but was told to get one you could play all night. That sucker really helped at night! But in the long run I ended up getting hearing aids that have sound generators in them also. Luckily my hearing loss is not that bad so they (and I) hope these will work. 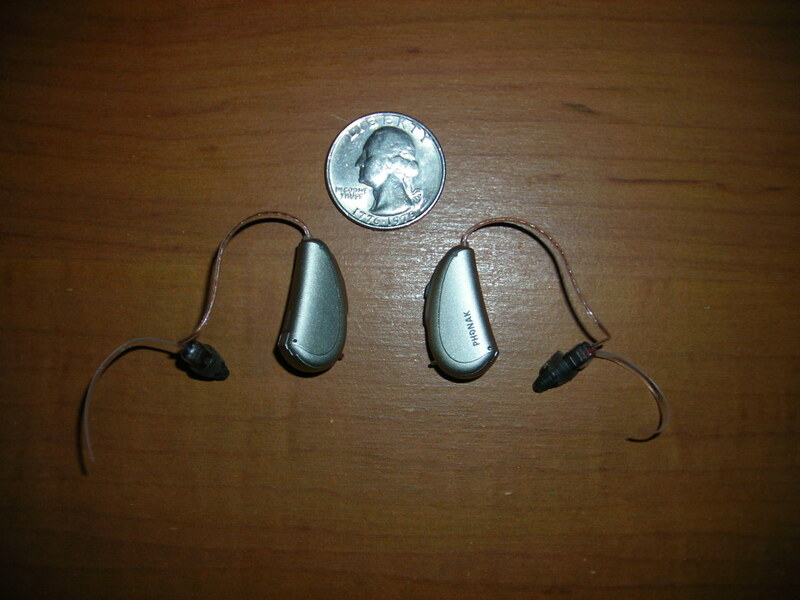 The hearing part on mine are only 8 channel and mainly enhance voice sounds. But the sound generator gives me a low, constant white noise to merge with the tinnitus. Believe me that the white noise is almost un-noticeable as compared to the tinnitus. I’ve now worn my new hearing aids for a day and a half. During the tuning process in the audiologist’s office I noticed an immediate difference. For me they seem to be a worthwhile investment and Donna thinks so too. But no you can’t wear them while riding! Think of it, they may only make the damaging sounds louder! The audiologist says that’s when you put in the ETY plugs. The morale of the story here is to do something to protect your hearing. It’s not that hard to do. At minimum wear ear plugs when riding or mowing the lawn (I wear the old-fashioned ear muff style phones from the pistol range when mowing the lawn). 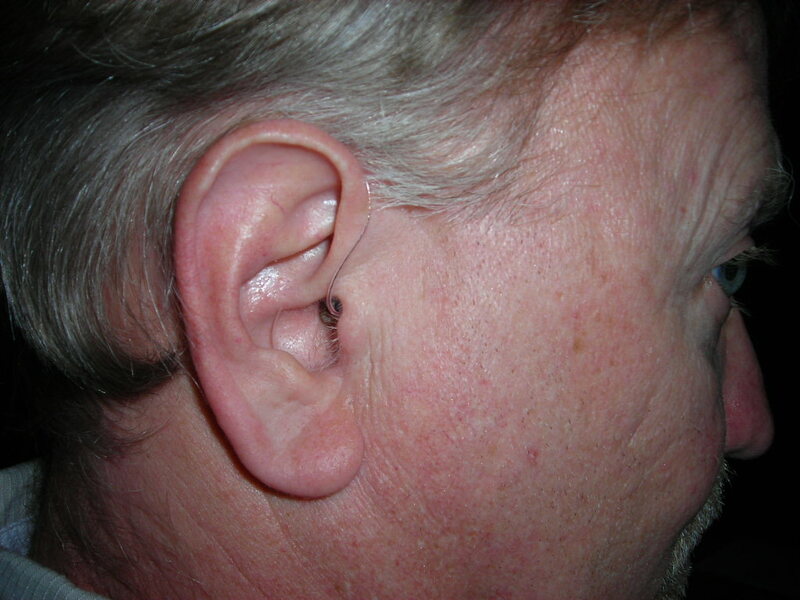 Once your hearing starts going away, it does not normally come back and there is no cure for tinnitus. If this article helps just one person on the way to hearing loss prevention or gets them to use ear plugs then it’s a successful article! Here they are! The quarter is for size reference. The silver parts go behind and on top of my ears while the wire loops into my ear. The other plastic part helps secure it in and on my ear. The hearing aids are barely noticeable. The Magic Carpet’s front tire after yesterday’s ride. There’s no tread left on the right like there is on the left! I knew we were getting close to needing a new front tire. But I didn’t think we were this close! Before we went on our ride yesterday I checked the tires like I always do. The front tire was getting close to the end of its life but the wear bars had yet to come to the surface and still had some tread above them. In fact, in a picture I took with the flash when I put the LED bulbs in the motolights, you could see the tread from a distance. That was only 8 days ago! 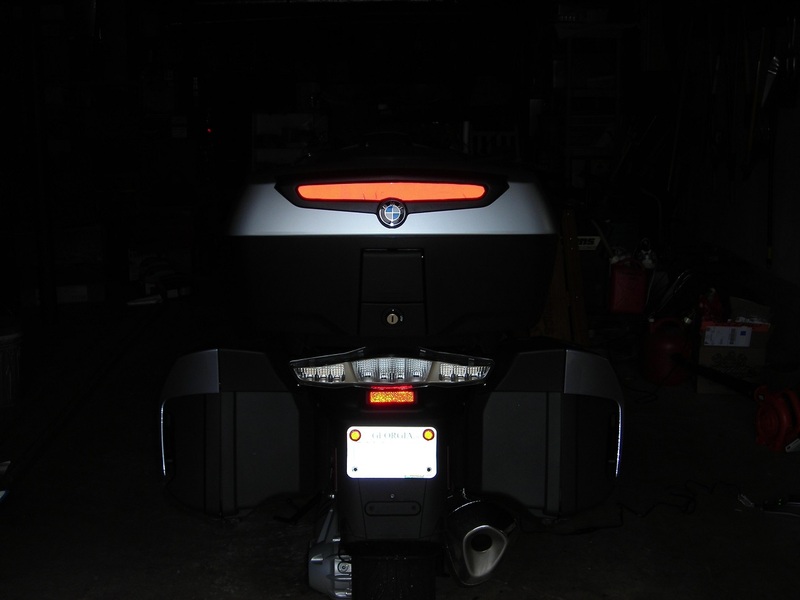 Imagine my shock when I went to plug the battery tender in and noticed the front tire looking like it does in this picture. Not only had we made it to the wear bars on the one side but we went way past them on yesterday’s ride. I guess when you approach the end, it goes really quick. 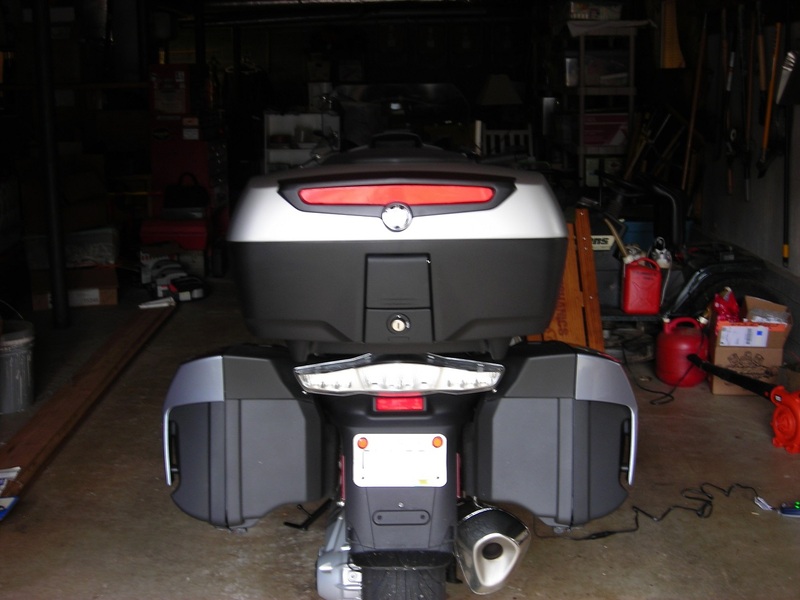 The tire in the picture has 17,157 miles on it and is a Metzeler ME880 Marathon that is rated for the BMW K1200LT. The Magic Carpet is grounded until it gets a new front tire. Metzeler and Bridgestone are the only tires made that are rated for the K1200LT. I’ve heard Avon makes tires but since they’re softer (and stickier) they wear out quicker so I have no interest in them. I’ve used the Bridgestone BT020 Battleax on the front before but only got about 8,000 miles out of it. So it looks like I’ll be calling Ken’s Motorcycle Tires in Woodstock this week to check prices and order a tire. Ken usually comes pretty close to matching online tire prices but offers a significant savings when mounting tires purchased from him. In other words, if I buy the tire online and bring it to him he charges more to mount it. It seems fair enough to me. I’ll check prices on the Metzeler and the always lower in price Bridgestone and weigh the mileage differences against the balance in the checkbook. It can be a complicated mathematical formula. It seems that a lot of motorcyclists really dislike drivers who text and drive. I most certainly don’t, in fact I wrote a blog entry earlier this month about a personal experience with a texting driver. A local Atlanta TV station did a news story today about Officer Myers of the Gwinnett County, Georgia Police Department who has written 800 tickets to texting drivers this year. Officer Myers also happens to be a motor officer. You can see the story on the WSB-TV site at this link. Officer Myers even tells you what he looks for. Poking the screen more than 10 times? You’re not making a phone call then. Using your phone’s GPS feature? Can’t do that either as it has to be a stand alone GPS. You see here in Georgia you can’t text message, email, web browse or use a web based application while driving or even stopped in traffic. You have to pull off the roadway to send that important Tweet or Facebook update! In other words, the only thing you can legally do with your cell phone while driving in Georgia is to make a phone call. Now this much I will tell you having been a motor officer myself for a number of years is that you’re amazed how much you can see into peoples cars while you’re next to them on a motorcycle. WSB-TV also offers the raw video they used to produce the story and you can see it here on their website. Oh and this isn’t a new law here in Georgia either, it’s 3 years old now. Yesterday morning I was riding on a residential road (not a neighborhood street) near the house on my way to meet a vacationing motorcyclist for ride when my motorcycle saved my life. I was on a straight section of this road and not in a curve or on a hillcrest. The entire length of road has a nice double yellow line running down the middle. It was a cool (for early September in Georgia) and overcast morning. 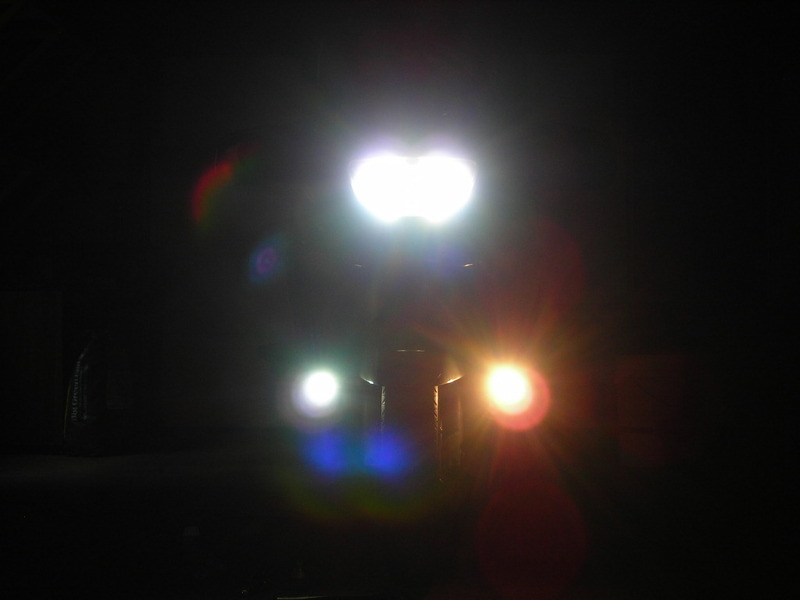 I had on my headlight, the moto-lights, a white helmet and a hi-vis jacket. Overcast skies seem to make hi-vis gear “pop”. There was an SUV headed towards me from the opposite direction. I then noticed the SUV was drifting into my lane! The closer it got, the more it came into my lane! Since I was on the motorcycle I was able to move over to the right side of MY lane to get out of the way of the oncoming vehicle that had crossed the centerline. As the SUV got close I blew my horn (our K1200LT has what sounds like a BMW car horn and not the little “meep meep” of most motorcycle horns). The driver seemed oblivious. I then noticed clearly she had both her wrists resting on the top of the steering wheel and was holding what sure looked to be a cell phone and poking at it as she passed. Although she was in my lane she was not close to me. But, had I been in a car, she surely would’ve hit me head on or at least side swiped me going the opposite direction. So since I was on a motorcycle I was able to give her both lanes of the two lane road. Now you’re probably thinking to yourself “If you were in a car, you would’ve been big enough for her to see you and it wouldn’t have happened.” It is a good thought but it’s wrong and here’s how I know why. For starters, a motorcycle is a licensed and registered motor vehicle, pays taxes and tags and is therefore entitled to the same laws, rights and restrcictions as other vehicles. Second, there was another vehicle on the road behind me. It was another SUV and they had pulled up behind me at the stop sign and like me had made the right turn on the road and was behind me a bit. The SUV behind me either had their headlights or was a General Motors product with daytime running lights. As the approaching SUV passed me, I then heard another horn behind me. In my mirror I could see the SUV that was following me was partially in the grass and the SUV that had approached me was still partially on the wrong side of the road. I expected to hear a crash but didn’t. It became very apparent that the woman driving the approaching SUV was reading or sending a text message. She was so enthralled by the message that she didn’t realize she on the wrong side of the road and therefore not nearly struck not one, but two vehicles. Here in Georgia it is illegal to text and drive. But no one cares and does it anyway. In fact the law is very clear in saying you cannot read, create, compose, reply to text messages or email or perform web browsing unless you pull out of the roadway to do so. How about that? Georgia even threw in web browsing. Most people seem to think it’s OK to text while stopped in traffic but no, off the roadway is what the law says. What makes this such and issue? What makes the text messages so important? I personally know of someone who says it makes them a better driver! I’m sorry but anything that makes you take your eyes off the road and hands off the steering wheel is distracting you from what you’re supposed to be doing; driving your vehicle. They can complain it’s their right. Bull! Driving is a privilege and not a right, courts have long ago decided that. And to use that privilege you have to obey the laws. I know someone from the United Kingdom and the whole country is hands free. That’s right you can’t even hold your cell phone to talk! The police can’t even hold a radio mic and use push to talk buttons on the steering wheel. Even a driver who is slightly impaired by alcohol is at least trying to drive good to avoid getting caught! Please wait until you get to your destination to start those text messages or do like the law says and pull off the road if they’re that important. Not texting while driving is more than just a good idea, here in Georgia it’s even a law. Please feel free to share this post, especially with those who give excuses why it’s not dangerous to text and drive.